I discovered that my concept of sound-current non-dualism (see my Masters Thesis, "Epicenters of Justice") was already developed by the Philosophy of Science Professor Oliver L. Reiser. Professor Reiser's Ph.D. was on non-dualism and he then published a early concept of the superstring theory and its applications to social society called "World Philosophy." (1945) Einstein praised this work as the best example of a unified field theory. In 1965 Reiser published his manifesto called "Cosmic Humanism" inspired by Einstein's work. Harmonic resonance is the foundation of this work through the application of the "Music Logarithmic Spiral." Reiser's book "Cosmic Humanism" was held in the highest esteem by a think tank called the "Institute for Integrative Education." This think tank was set up by a Forest Products magnate, Julius Stulman and its office was then located at the UN Plaza. It's Board of Directors included the family that directed the non-dualist Theosophist Society and it also included scientists from Harvard and Yale. The goal of this Institute, as spelled out in their flagship academic journal, "Main Currents in Modern Thought" (1940-1975) was to review all prominent academic journals and integrate all knowledge to the goals of non-dualist theosophy. With this in mind the journal had a very advanced interest in eastern philosophy, paranormal research, eugenics, higher dimensional physics and social engineering. In 1936, Dr. Reiser, introduced and promoted the concept of "radio-eugenics" in the scientific Journal of Heredity. This entails applications of radiation for evolution. In 1945 Dr. Reiser was impressed by think tank founder Julius Stulman's article called "Applied Energy to Human Relations." In the 1965 publication of "Cosmic Humanism" that is highly praised by Stulman's Institute for Integrative Education, the concept of radio-eugenics is promoted in synthesis with the concept of non-dual harmonic resonance. Dr. Reiser states that we learned from Hiroshima and Nagasaki that not only does radiation cause massive destruction but that even those who survive "the baptism by fire" have children with severe birth defects. He then states that unfortunately that is how evolution works and that hopefully with the proper applied harmonic resonance of radiation then a new human society and a new "World Sensorium" will be achieved. The "World Sensorium" of Dr. Reiser is based on utilizing the radiation of the ionosphere, amplifying it with high technology, and applying it globally to cause mutations. The effect is to achieve not only a higher dimensional reality but to harness the zero-point energy. In 1965 Julius Stulman founder of the Institute for Integrative Education, with the recommendation of the UN Technical Administrator, sets up the World Institute, in collaboration with the Institute for Advanced Studies at Princeton. The World Institute is to oversee the direction of technology for the globe and it advises with presidents worldwide. Meanwhile Dr. Reiser's work is published in the Sri Aurobindo Ashram newsletter and Sri Aurobindo's students propose that the future body of humanity will be radioactive (Letters on Yoga III). The Music Logarithmic Spiral is published in the journal "Darshana International." In 1975 Dr. Reiser publishes "Cosmic Humanism and World Unity" (Gordon and Beech) as part of a series for the World Institute. This book calls the plan for the World Sensorium, "The matrix" several times and states that, in concept, it is closest to H.G. Well's 1936 proposal for a "World Brain" to the Freemasonic Royal Institute of International Affairs the source for the Council of Foreign Relations. H.G. Wells was not just a science fiction writer, he was the head of British secret intelligence during World War One and he was the mouthpiece for the global elite policy makers. The World Brain was inspired by the NeoPlatonic concept of the matrix outlined by Professor John Ruskin, a favorite source of inspiration for the Royal Institute of International Affairs. Dr. Reiser states that his main collaborator in creating "the matrix" is Dr. Andrija Puharich. 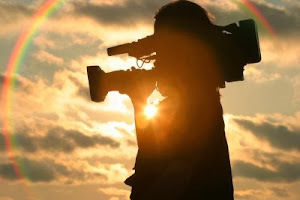 Dr. Puharich has been recently exposed as a top CIA funded mind control scientist focusing on higher dimensions and a high level Theosophist by Dr. Jacque Vallee (1974) and by Clive Prince and Lynn Picknett (1998). Both Puharich and Reiser called for the creation for a new techno-spirituality global religion. Dr. Puharich called the plan for the Matrix, "Psi-Plasma." Dr. Reiser explicitly describes the evolution of the matrix by stating that the Earth is an egg and in the egg is an embryo. 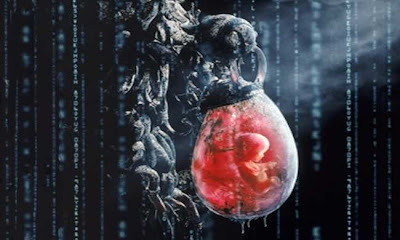 The embryo feeds off the humans, animals and plants, as the ectoderm and entoderm of the egg, in order to create the new World Mother or the matrix, the Sub-Stance or Psi-Plasma of non-dualism. Again unfortunately, according to this plan, most of humanity and the environment are seen as necessary costs to developing the next level of evolution. Dr. Puharich was the main promoter of an elite non-dualist secret society based on the Council of Nine - a higher dimensional ennead that are considered to be aspects of the Nondual God and to be sources of higher intelligence. This Council of Nine is traced back to ancient India and ancient Egypt (see Prince and Picknett's "The Stargate Conspiracy" and Jacque Bergier's "Morning of the Magicians"). Central to the Council of Nine's secret knowledge is the connection between music theory, geometry, algebra and higher dimensional reality. Through the Theosophist academic think tanks, several Professors have published research into the secret origins of this harmonic resonance higher dimensional knowledge, most prominently Eric Temple Bell, Johns Hopkins Chemist C. H. Andrews book "The Symphony of Life," and musicology Professor Ernest McClain. There are many others, including a Harvard geologist, a Yale physicist, and a Berkeley mathematics Professor, Dr. Abraham Seidenberg. Seidenberg has been given prominent attention in recent Advaita Vedanta research because he documents the origins of the Pythagorean Theorem as far back as 3,000 B.C. in Vedic India. In several essays in prominent academic journals, Seidenberg states that the concept of incommensurability or paradox of the infinite, was established worldwide through human sacrifice altar rituals that maintained creation through the cosmic separation of heaven and earth. (Note versus the union of heaven and earth by humanity - the explicit goal of Taoist harmonics and OM non-dualism). The prominence of music theory in the issue of incommensurability and paradoxes of the infinite has been confirmed to me by recent correspondence with Mathematics Professor Luigi Borzacchini (University of Bari, Italy). Still unpublished, his paper, "Incommensurability, Music and Continuum: A cognitive approach" documents that a radical transformation occurred in science and philosophy with Plato and his colleague, the military general and mechanical engineer Archytas. Plato and Archytas were worshippers of Dionysus, the horned god of the underworld and chaos. The equivalent of Dionysus in Egypt is Set, a parallel to the forces of disruption or Satan in Judaism. The essential aspect of Plato's philosophy was the limitation of the Infinite Cosmic Mother into the finite geometrical Grand Architect or Great Geometrician of the Universe. This involved a conscious corruption of Pythagorean shamanic-yoga based on complimentary opposites of infinite natural harmonics (Pythagoras' 1:2:3:4 is equivalent to OM and yin/yang). The link between Freemasonry and Theosophy is well-documented in "The Stargate Conspiracy." The first example of this religion of technology is the creation of the square root of two. As the University of Nebraska Philosophy Professors, P. Hugly and C. Sayward point out in their essay "Did the Greeks Discover the Irrational" (1999), there is no actual proof for the square root of two! It is an illusion and a deceptive charm of "the power set axiom." The first proof that approximated the square root of two was the "squaring of the circle." The Vedic priests, as far back as 3,000 B.C., demanded that altars be patriarchal squares, and that matriarchal female circles were heretical. If circle altars were built they had to be the same area as the squares. (Dr. Seidenberg, "The Ritual Origins of Geometry"). The squaring of the circle is a central theorem to the Freemasons. The second proof that necessitated the containment of the Cosmic Mother was the doubling of the cubical altar. The gods stated, as far back as 3,000 B.C., that a plague could only be stopped unless this was mathematically achieved. Archytas, the military general collaborator with Plato, faced the same Demonic Altar Plague problem as occurred in 3,000 B.C. Many scholars have written about the connections between ancient India and Greece, explicitly regarding Archytas. By combining the Pythagorean harmonic proportions with the geometry of India, Archytas was able to give a proof for the square root of two, that also enabled standardization or equal-temperament of the octave music scale. In other words this proof extended the Yin/Yang, OM, Pythagorean harmonics into greater dissonance by containing the infinite to a three dimensional object of geometry. The result enabled analytic geometry and inverse proportions, central to western science, to be achieved. Unfortunately the technology is inherently against the natural harmonics of reality. This is why equal-tempered tuning, although conceived in ancient China, was not allowed for the society as a whole. Also in ancient China it was remarked that those who know the 3:4:5 triangle, based on the Golden Section and the Major Third music interval, could rule the world. Any supposed "sacred geometry" that is based on the square root of two is really just a promotion of destructive techno-spirituality. In my research I was able to reconstruct the secret proof of Archytas, that enabled the creation of western science from music theory. Professor Bozacchini also has discovered this connection. The retired Boston University geophysicst Gerald Hawkins discovered this secret theorem as well in his research of crop circles. Also John Worrell Keely apparently developed higher dimensional harmonic resonance technology based on the 3:4:5 triangle. Keely's harmonic resonance findings that demonstrated levitation, disintegration, energy generation, etc., funded by the richest man in the U.S. at that time, Jacob Astor, were concealed apparently by the Freemasonic Skull and Bones society according to a recent book by Theo Paijmans. George Bush, Sr. former CIA director, is a member of the Skull and Bones Society. The 3:4:5 triangle is the basis of the logarithmic music spiral that will be used to create the matrix, according to the Theosophists and the CIA. Continually throughout the research of the Theosophist analysts, it is clear that their goals can only be achieved by non-dual mind-body yoga. Instead they are pursuing this goal through destructive technology and as both Sri Aurobindo and Swami Yukteswar both pointed out, non-dualism can never be achieved through technology. Therefore the plan for the matrix, although it may destroy the planet, will never be successful. Always-already the Cosmic Mother will be waiting to embrace those who practice shamanic-yoga non-duality. The conscious suppression of shamanic-yoga non-dualism by Western Civilization, is documented by Oxford scholar Dr. Peter Kingsley in his recent book, "In the Dark Places of Wisdom." Recent plans by the current U.S. administration include microchipping the whole population, called "the Bioweapons Defense Shield" by the HHW Center for Civilian Biodefense Studies. FEMA is designing new emergency detention centers to be located outside all major cities - possible to be used for "techno-samadhi" matrix states. NASA has advanced brain scanners to be introduced. Laser and plasma weapons will be featured in the next destruction of Iraq. Project HAARP plans to test, at full power, a vast electro-magnetic ionosophere spectrum through antennae in Alaska, Greenland and Norway. The Russian duma has warned that it could potentially destroy current near-Earth technologies. My source on the World Institute that promotes radio-eugenics is the book: "Evolving Mankind's Future" by Julius Stulman published in the mid-60s. In 1975 the World Institute published a book by University of Pittsburgh philosophy of science professor Dr. Oliver Reiser called "Cosmic Humanism and World Unity." That book is a follow up to an earlier "Master Synthesis" as Dr. Reiser describes it: The book "Cosmic Humanism" published in the mid 1960s. radio-eugenics - it is for the creation of a multidimensional "World Brain" - evolution of life based on the unified field theory - exactly as described in The Matrix. This is what Dr. Reiser means by "mutations of illumination." "The study of the biological effects of the atomic explosions in Japan indicate that the radioactivity thus produced can cause sterilization and death in those exposed, and possible malformations in subsequent generations of those born of the generation that lived through the baptism of fire to reproduce themselves. "But we also know, on the other hand, that nature has always in the past exacted a high price for biological 'progress' - which means that for every mutation that is beneficial many more mutations are harmful, and it is possible that the same ratio would be maintained on the human level. But we underline the possible. Perhaps the beneficial use of atomic energy (outside its uses in medicine) is a matter of selecting the right types and dosages (frequency and duration) of irradiation, plus the controlling influence of a mental guiding field. This latter would be a kind of psychokinetic effect on the level of biological causation." I would like to dismiss this as a crackpot plan except for the following reasons. The World Institute was created with the support and guidance of the ruling elite (by Domhoff's, Chomsky's or Mill's standards). Dr. Reiser, quite simply, is a very brilliant, in fact the most brilliant theorist I've ever read. He was very prolific and his earlier book "World Philosophy" was supported by Einstein as the closest model to the Unified Field Theory. Reiser was, from what I can tell, not only the first scientist to discover what is now called the superstring theory, but he traced the validity of that theory all the way back to ancient Sumeria. He is very openly a Free Mason and he relies on the work of other Free Masons. I discovered Dr. Reiser's work after I had finished my masters thesis (published on the internet as "Epicenters of Justice.") My research is based on the premise of resonance science as taught by Pythagoras. Pythagoras taught the unified field theory as an infinite spiral of harmonic energy-information, modeled by basic music theory. Plato, in Timaeus, wrote down this theory but repressed the infinite spiral into a closed materialist system called the "circle of fifths" in music. This model was Plato's World Soul and it enabled the averaged quantification of infinity - mathematical examples of this inaccurate average are the "irrational number," then the "derivative," the "logarhythim," "spherical harmonics," and "systems theory." Dr. Reiser calls it "Taming the Infinite" and his Ph.D. was called "Creative Monism" as he also calls "non-dualism in Action." My Masters thesis was called "Sound-Current non-dualism." In other words the basis of the Free Masons is a path back to non-dualism (the unified field theory) through technology. The difference is that Pythagoras was a yoga master, trained in Egypt for 22 years. Pure consciousness is the only way to achieve the pure resonance required to achieve non-dualism. This truth is eternal - traced back to the Vedas, the Kabbala, and supposedly to Atlantis, and Lemuria, etc. Pythagoras' teachings were oral transmission of harmonic energy-information. The recent Oxford Ph.D. by Peter Kingsley, "Ancient Philosophy, Mystery, and Magic: Empedocles and Pythagorean Tradition" (Oxford: Oxford University Press, 1995) proves the Plato and Aristotle consciously denigrated the non-dualism of Pythagoras. Our language (the subject-object structure of phonetic language) is dualistic. This quite simply is the drive of the Free Masons - a destructive pursuit of non-dualism through unbalanced dualism. The theory of non-dualism is that everything returns to its source. Dr. Reiser's proposals not only predict but fully explain the motivations and developments of today's destructive technology. Even the internet - he called "Project Promethesus and Krishna." He called for a Planetary Democracy or Federation so that individuals, through the internet, would respond to problems no matter where they happened throughout the world. The whole process would be monitored and controlled from above. Project HAARP mirrors exactly the ionospheric guidance field promoted by Dr. Reiser. All the conscious policies of genocide are motivated by "good intentions" of the elite (i.e. the thousand points of light of George Bush). This theory explains the good intentions behind the grotesque experiments in genetic engineering, the cancer epidemic from synthetic and electro-magnetic pollution, etc. David Noble shows the direct connection between today's technological projects and the Freemasons. George Bush Sr., by the way, received eight personal energy-work or qigong treatments by China's "National Treasure" of qigong, the very powerful yoga master Dr. Yan Xin. George Bush declared Dr. Yan Xin to be today's world's greatest spiritual leader. In a western scientist published study (the journal "Material Innovations" Dr. Yan Xin has slowed down the decay rates of nuclear particles - technically impossible, unless the superstring theory is true. As I stated before, the University of Minnesota was the world's leading institute in eugenics previous to the Nazis. But, as well documented in Bertram Gross's book "Friendly Fascism" (South End Press) and in other works, the U.S. corporate-state elite were poised to side with either the Nazis or the U.S. government. In other words the corporate-state elite funded the Nazis and enabled their policies. On this basis multidimensional radio-eugenics is the next logical step of development. Is it not true that "Fluoridation of the water supply" was considered a "communist conspiracy?" Yet it's been now well documented that the corporate-state elite deliberately promoted and enacted fluoridation of the nation's water supply in order to cover-up the continued fluoride poisoning from the aluminum and nuclear industry. Radio-Eugenics - more glibly described as "mutations of illumination." In 1975 radio-eugenics was much further refined and still being promoted by the secretive WORLD INSTITUTE COUNCIL. "new DNAs and new fields of force are parts of the Archetypal Guiding Field which is the Cosmic Imagination." So who is behind the promotion of radio-eugenics at the WORLD INSTITUTE COUNCIL? Only the top ruling elite of the U.S.
"one of the most important manufacturers and wholesale distributors of forest products." Stulman operated Lumber Industries, Inc. and controlled the Lumber Exchange Terminal. Julius Stulman first proposed the WORLD INSTITUTE to the grand capitalist economist Alexander Sachs, who in 1939, converted Roosevelt into supporting the Atomic Project. Stulman was then invited to present his ideas to scholars at the Institute for Advanced Studies in Princeton. ...all while the bomb was being developed. In 1944 Stulman published an article called "Energy Theory as Applied to Human Relations." It was this article that caught the eye of Dr. Reiser, the promoter of Radio-eugenics in the Journal of Heredity. INSTITUTE. He was recommended to the U.S. by the former Director General of Technical Administration Assistance of the United Nations, Hugh L. Keenleyside. The World Institute was established across the street from the United Nations. The WORLD INSTITUTE was instigated as a "GREAT SOCIETY" vision for the evolution of humanity beyond the COLD WAR. The WORLD INSTITUTE is described as being integrated with resource centers all over the planet and Julius Stulman consulted with presidents from all over the world. Under the vision of the WORLD INSTITUTE's Cosmecology, "Planet Earth" is seen as an EGG that is developing an embryo which will give birth to a WORLD BRAIN or the WORLD SENSORIUM - a paranormal existence beyond space-time integrated with the Unified Energy Field of the universe. "The world-mother nourishes its embryo from the materials of the earth-egg. He [Dr. Rice] saw the plant and animal divisions of the earth-organism as being in functional complementarity, precisely like the two layers of gastrula." SOUNDS EXACTLY LIKE THE MATRIX...!!! From radioactive "harmonic" mutations, guided by the LOGOS FIELD or COSMIC IMAGINATION, humans will evolve, whereby they will be merged into a paranormal reality beyond space-time. "It was suggested that we might create and utilize an artificial ion blanket." "If then, we humans are cells in the great cortex of a world organism, would it not require a super-observer (extra-terrestrial) to scan the cultural movements of humanity and recognize them as planetary brain waves?" "This Logos Field would be able to integrate the action-patterns of the human neuroblasts of the 'world sensorium' into a meaningful drama." "We need to fabricate radiation belts of spiritual consonance around the earth in a manner analogous to the Van Allen radiation belt which encloses the earth." "the program of the integration of knowledge concerning the cosmos from top to bottom." "Organizing fields of energy as guiding agencies"
All of this is coordinated by FREEMASONS. Dr. Reiser's associates included Major J. K. DeLoach, a mysterious civil engineer who promoted the connection between the great eye of the pyramid (seen on the dollar bill) and resonant energy-information. DeLoach specialized in studying ancient Egypt and India. Reiser relied on Dr. Herman Von Baravalle, a mathematician who specialized in Ancient Egyptian and esoteric math. Another associate was Dr. Royal Frye, the nuclear physicist at Boston University who besides writing standard textbooks, specialized in the connection between harmonic energy-information and radiation. He conducted his studies with Esther Watson Tipple, daughter of Thomas A. Watson, coworker with Alexander Graham Bell, inventor of the telephone. Watson revealed his Freemason inclinations in a monograph entitled "From Electrons to God." What will the NEW HUMAN be like according to the WORLD INSTITUTE? There will be a "heart-head synthesis." There will be Cosmic Consciousness - the ability to hear and see with the whole body. There will be the ability to communicate with intelligent beings of the universe. Cosmic Imagination (the Unified Field Theory) becomes moral in "man" as the INNER MESSIAH (p. 45) Reality will exist in a higher dimension than the fourth dimension. The phenomenon of super-light phase wave speeds are possible. The Nerve Nets of the New Human will be integrated into ONE GREAT CIRCUIT - a condition Dr. Reiser compares to the state of Samadhi in yoga. Consciousness will be in higher dimensions guided by the LOGOS FIELD and senses will be psychic. "exploit the possibilities of such action currents of thought." All of this is the inherent drive of the musical-mathematical spiral being quantified into a circle by Plato. The music logarithmic spiral is the basis for resonance science and is applied to genetics, chemistry, physics, astronomy, etc. throughout the work of Dr. Reiser. "a field of electromagnetic force is built up to the place where the never-ending spiral [of fifths] approaches the radii [of octaves], and the cycle can be rounded off to a circle, which provides equal interval measurement so that all the tones involved are infused with vitality."